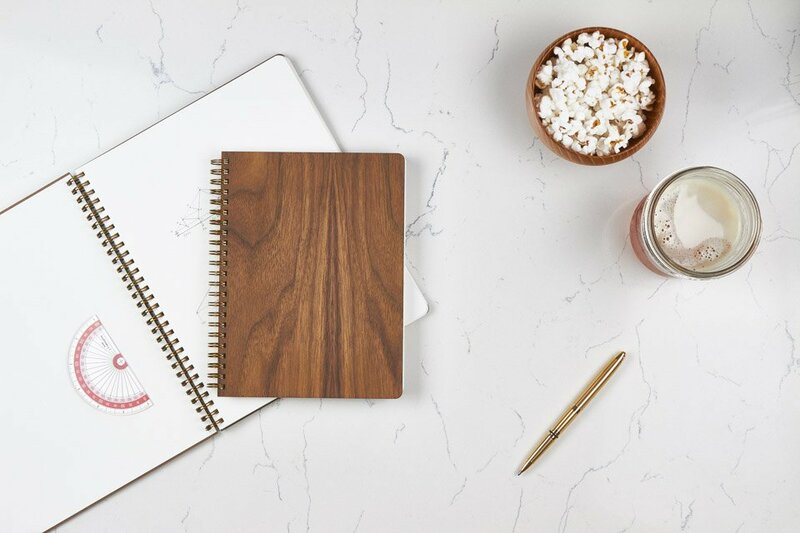 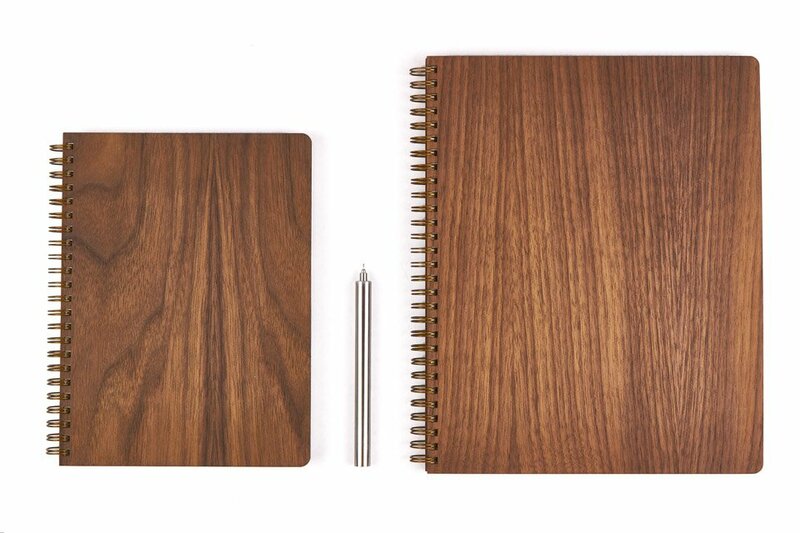 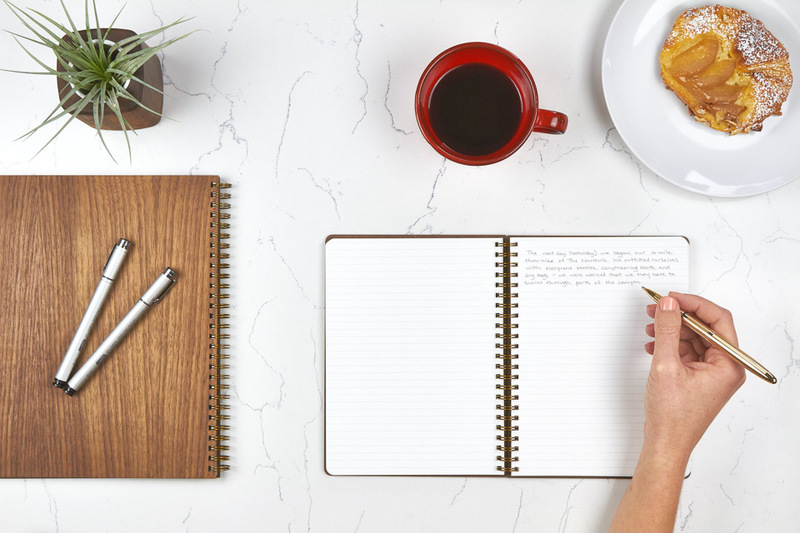 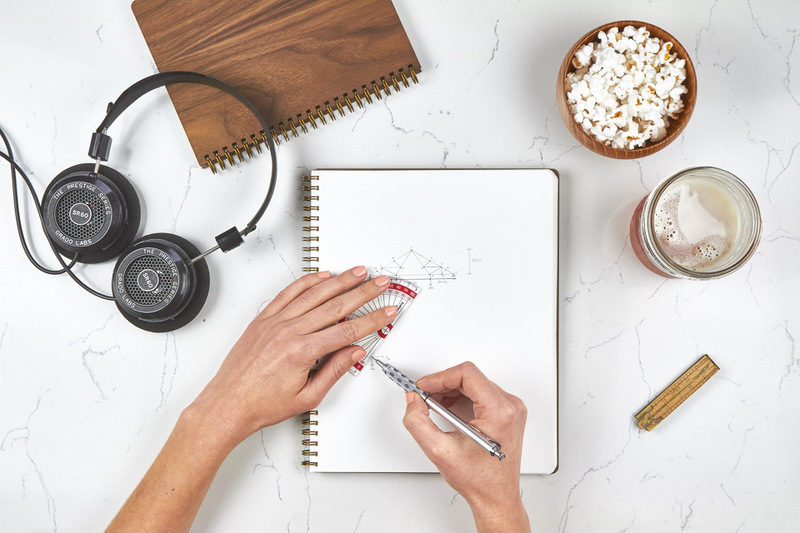 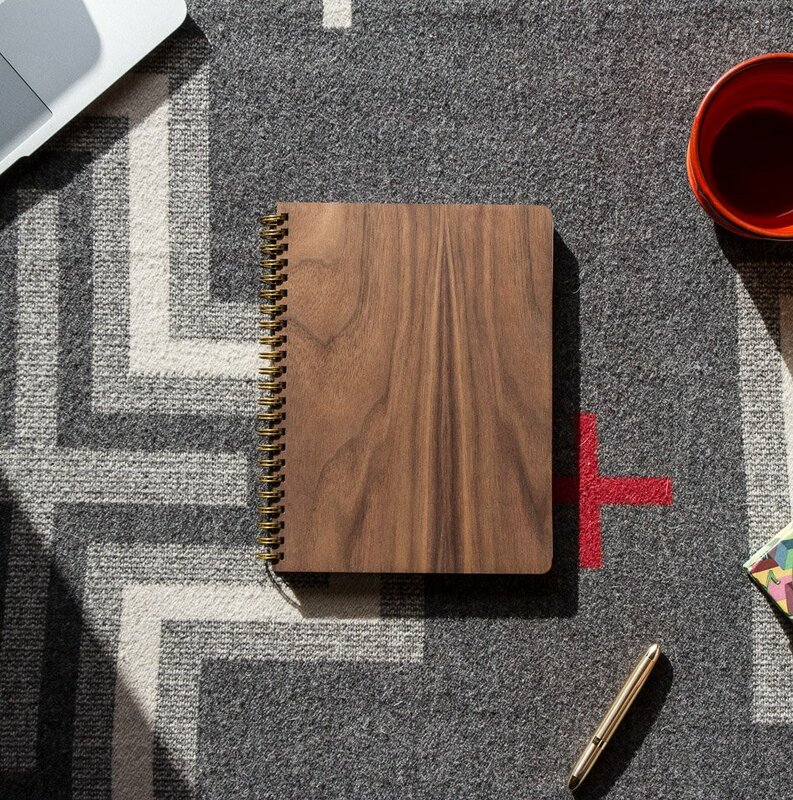 A collection of beautiful, functional wood notebooks crafted from real walnut. 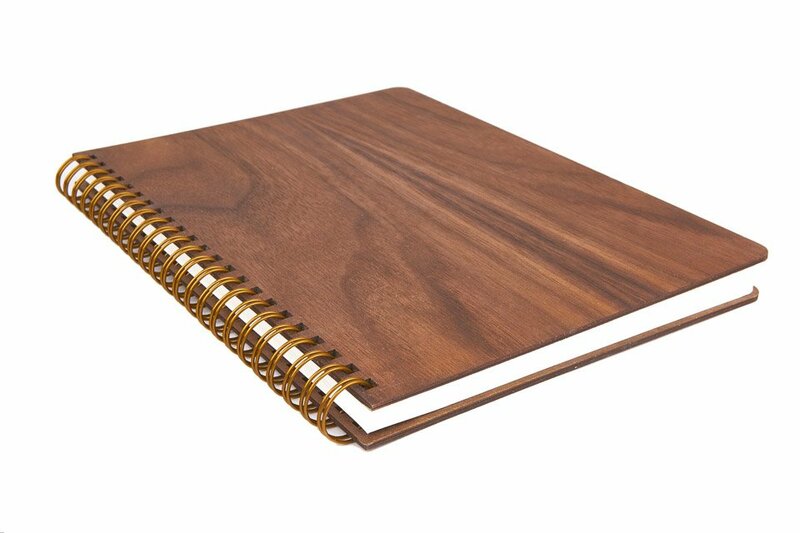 Each double-coil brass-bound book lays flat for easy writing, and comes with plain, ruled or dot-grid bleed-resistant paper. 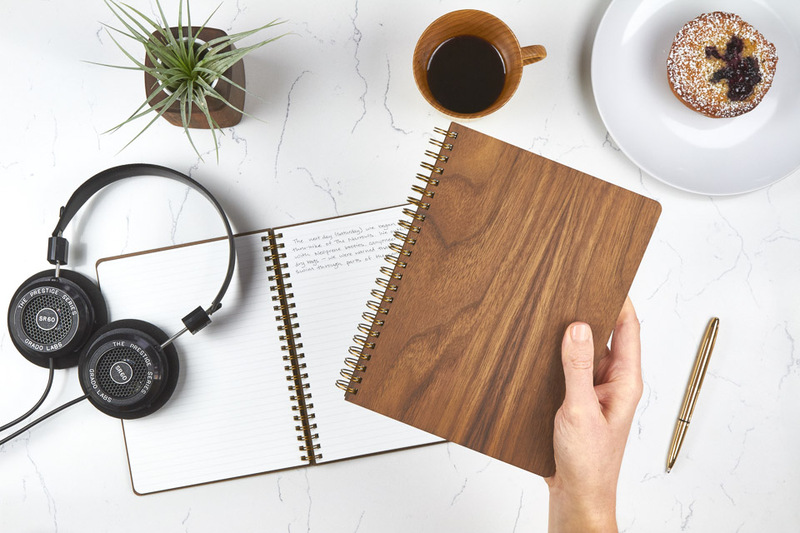 Available in 8″ x 5.75″ and 10″ x 7.75″ sizes.